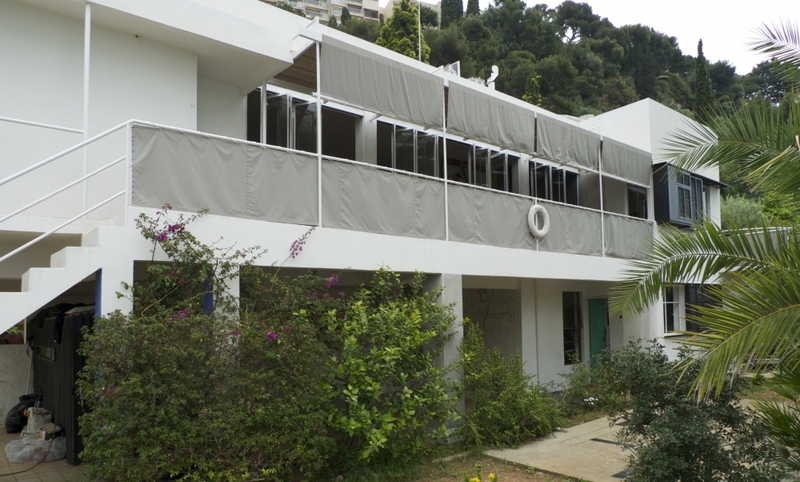 Eileen Gray's seminal modernist villa, E.1027. "Talking House: Eileen Gray & Jean Badovici" is a 40-minute montage of E.1027, the iconic modernist villa built by Eileen Gray and Jean Badovici on the Cote d’Azur in 1929. Filmed today, and using Eileen Gray’s 1929 photographs of the villa and recently restored Le Corbusier film footage, the camera takes us through E.1027 as the couple talks and argues off screen about the design philosophy behind the breakthrough layout, interiors and furniture. Heated correspondence between Corbu (Le Corbusier) and Bado (Badovici) adds a bit of controversy over the later addition of Corbu’s wall paintings. This multi-media art piece created by Elizabeth Lennard will be a part of the MoMA exhibit, How Should We Live? Propositions for the Modern Interior (Oct. 1–April 23, 2017). ADFF will offer a unique opportunity to see this on a large screen followed by a conversation with Juliet Kinchin, Curator of Modern Design at MoMA, NY architect and Elle DECOR's contributing writer Joseph Giovannini, and Artist/Director Elizabeth Lennard. To buy tickets, visit the ADFF website here: http://adfilmfest.com/site/films_ny2016/6283.